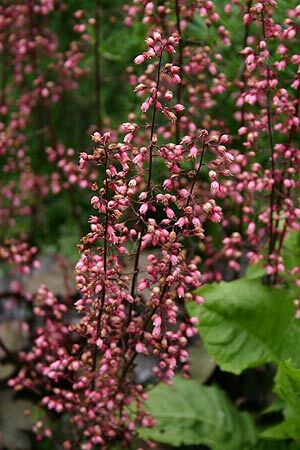 During many morning walks in summer, I often passed a dazzling display of dainty, coral-red blossoms in a garden mass-planted with heucheras. One early evening I decided to take a walk past this delightful spot. What a surprise to see it backlit by a warm, summer sun. Suspended above the horizon, the sun lit the translucent, coral-red flowers, giving them a fiery glow. Humming softly in the background, pollinators gathered their last load for the day. The sinking light in front of me revealed the glistening remains of spider webs, routinely invisible, but now exposed. The strands weaved through the thin flower stalks, rich with vibrant blossoms. All swayed in unison on the slightest breeze. A hummingbird darted about the garden, its long, willowy tongue flicking in and out of its beak in anticipation of the honey-sweet nectar. The miniature acrobat flew around, occasionally coming to a standstill in mid air, its wings moving so fast they disappeared from perception. Cruising around the inflorescence, it zeroed in on its target—a bright, elf-size coral bell. The tiny bird gracefully moved in as its slender beak sank into the flower. Drawing out a sweet reward, the hummingbird continued its delightful moves, as it foraged amongst the flowers. A glimmer of sunlight sparkled through a drop of nectar that escaped its beak. This must be ground zero for heaven on earth. I see this image almost every time I think about heucheras. When I sought after the plant, I found a variety of cultivars with provocative foliage in purple hues and tantalizing greens. I bought a few named cultivars and sowed some seeds of selected species. With so many recent introductions, I am finding there are too many heucheras and not enough space or time to collect them all. 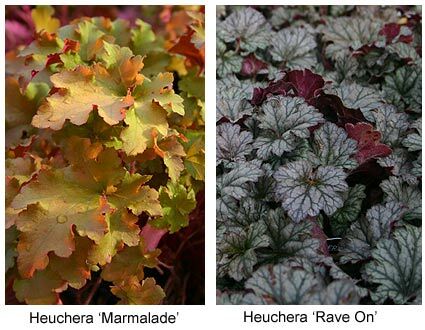 Heucheras (properly pronounced HOY-ker-uh) was named by Linnaeus after a professor of medicine and botany in Germany—Johann Heinrich von Heucher (1677-1747). The dainty little coral bells, from our Pacific Northwest natives, H. glabra, H. pilosissima, H. micrantha, and H. chlorantha, and an eastern native, H. Americana, to the Southwest, a native with the showiest flowers, H. sanguinea, are parents to an immense variety of cultivars. Breeding Heuchera pulchella or H. hallii brought us smaller hybrids. The best of these were crossed back with larger, burgundy and silver leaved cultivars, bringing us the Petite series. Small stature, colorful foliage and showy flowers are the hallmarks of this line, my favorite being H. 'Petite Pearl Fairy' which I grow amongst Chiastaphyllum oppositifolium. 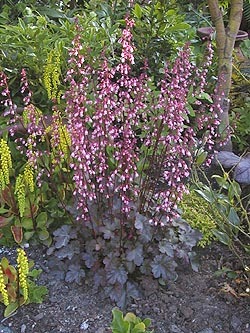 Heuchera breeders have gone wild in their unbridled passion for coral bells. Dan Heims (Terra Nova Nursery), Charles Oliver (The Primrose Path), and Dale Hendricks (North Creek Nurseries), to name a few, brought us an explosion of exciting foliage in a kaleidoscope of textures and variegation that streak through the garden with hues of purples, reds and greens, splashing the leaves in ways no one could anticipate. With every new introduction, I experience a Pavlov's dog response, with names such as 'Plum Pudding', 'Peach Melba' or 'Marmalade'. 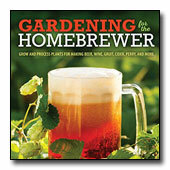 All are descriptions that warn you, "You're about to salivate over this perennial." Only our imaginations can limit how to combine these small beauties with other plants. Mass plantings are effective; however, a focal point surrounded by heucheras that compliments, contrasts or echoes its hue makes the planting extraordinary!